In the short time it has been around, Google Photos has evolved a lot, and has even joined the ranks of Google services that use artificial intelligence (AI) to improve user experience. During Google I/O 2017, the search engine giant’s engineers shared some key developments to Photos’ feature set. In this article, we’ll clue you in on all the new features which are making their way to you in the app’s latest update. Do you use Google Photos? Shared library: During Google I/O in May, Google Photos received a lot of attention, thanks in large part to this image sharing feature. Google has just announced the arrival of the "Shared library" function, meaning it is now possible to automatically share images with certain contacts. I've updated Google Photos on my smartphone, and I can say that if you choose to use this feature, there are some settings you need to take into consideration before you start sharing your photo gallery. Among them, allowing access to specific people, and determining from which day forward you will want to start sharing the images. As a test, I chose only one of my contacts and I set it to only share new photos from this day forward, rather than retroactively. That way, I have more control over what I will automatically send to my contacts. I suggest you do the same. Sharing suggestions: In addition to shared libraries, we now also have suggestions. This feature gathers images based on the people who appear in the photos (through facial recognition) using Google's artificial intelligence. For this feature to work optimally, however, you will have to tell it who some of your contacts are beforehand. The cool thing is that if your contacts also use Google Photos on their smartphone, they can share images of the events you both attended, so you'll have a kind of shared folder for a birthday party or company happy hour. Honestly, I find this feature brilliant, but to avoid privacy issues in the future, I recommend limiting your sharing suggestions and shared libraries as much as possible. Once I started sharing the animations and slideshows automatically generated by Google Photos, many of my friends started to use the app, too. Archive photos: This feature allows users to archive duplicate photos, and optimise their experience in the photo gallery overview. Photos of things like receipts, screenshots and notes can be hidden from the main gallery, though they will still be visible in search, albums and in the new Archive view. Apply labels to faces: This new feature allows you to tag photos of people’s faces so the Google Photos can recognize them. Then, you'll see more personalized creations, for example, a movie that has photos with you and that person together. Or you can do custom search searches using their name to easily find photos where they appear. In addition, tagging yourself means that when your contacts take photos of you, they'll see a suggestion to share the photos you’re in. To get the latest version of Google Photos on your Android, download the APK for the latest version of the app on APK Mirror through this link. Or, you can always wait for the app to update through the Google Play Store. 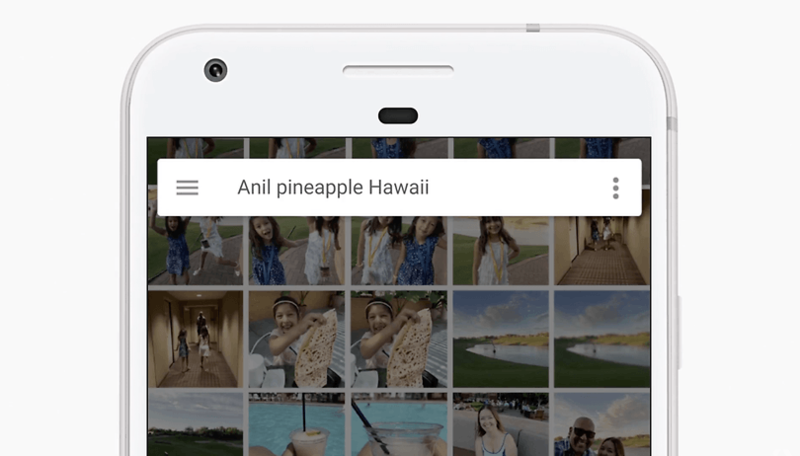 What do you think of Google Photos’ latest features? Do the privacy concerns outweigh the benefits? Google Photos is the perfect choice for storing your photos! Please note that the Search Photo by file name feature was removed.. what the heck? It is a great app : a wonderfull way to see your pictures. But I would like to see an album offline. Is it possible ? Firstly, thanks for the guide - I've been using Google Photos for a while, and even I learned some things new! It's good to see there are finally beginning to be some results when you google "Google Photos". This is a great service and extremely feature-rich just out of the box. I am a Mac / iOS user (so, why am I on an Android forum? ), and I have had no problems with syncing, uploading or updating Google Photos. I have also been able to migrate my older photos, but it was a two-step process using my Dropbox Camera Uploads. Just an FYI, the Mac desktop upload app simply stopped working a few days ago, but if that happens to you, remove the old one and download again. I am back up and running. Google, if you are listening: De-dupe would be a great next feature, and the addition of some kind of "magic pen" to heal small areas of a photo would be welcome as well! I'm transferring fro iOS and I was amazed at how Google photo recognition works. For example, a search of "helicopter" reveals photos of me in or new a helicopter, even though none of my pictures are tagged. Any ideas how to get that to occur automatically? Since I have over 6,900 pictures in existing albums but Google doesn't see those albums. And to recreate them would take too long. I was excited to try this new app however when I try to open it all I get is unfortunately photos has closed error message. I've tried clearing cache s. Uninstalling and reinstalling the app but still nothing works. They REALLY need an option to find and remove duplicates. The desktop app uploaded most of my photos twice (I got a new PC). Uses all my space on the cloud (I have desktop set to upload full res). A similar situation for me, yes it does count towards your Storage limit. A word of caution for anyone using the Drive desktop app: If you are uploading all your photos from a machine (Mac or Windows) that has the Google Drive app installed, and you add the option to show Photos in your Drive as well, (unless you change the option to sync all folders in Drive and uncheck Photos quickly), you will end up physically re-downloading all the photos back into your Drive folder. Get it? Sounds confusing but I learned the hard way. I had the Google Drive desktop app on a couple computers with them set to sync all folders. As soon as I added the "Show Photos in Google Drive" option, it started to download all the photos to that folder on the computers. On a tablet, phone, or the web, it just adds links to the same pictures but NOT on the desktop app where you are keeping hard copies synced. So be warned, the solution I found was just to sync all folders EXCEPT the Photos folder in the desktop app unless you want them all re-downloaded. I'm not sure if you did allow it to physically put all the pictures into your hard drive Photos folder if it counts towards your storage limit. I believe it does. I stopped mine once I figured out what was happening, but in the short time it had downloaded a couple hundred pics, my storage did show higher on my Drive until I deleted them. If your Drive settings are set to sync all folders, Google should have a pop up warning asking if you really want to physically download your whole photo collection to your hard drive as well.